Get your tax refund: How much do I get back in taxes in 2019? Get your tax refund: How much do I get back in taxes? Find out how much you get back in taxes and learn the #1 thing people get wrong about their tax refunds every year. Ah, springtime. The birds are singing. Love is in the air. And the weather’s getting warmer. You know what that means!! That’s right: It’s tax season, friends. I LOVE tax time. 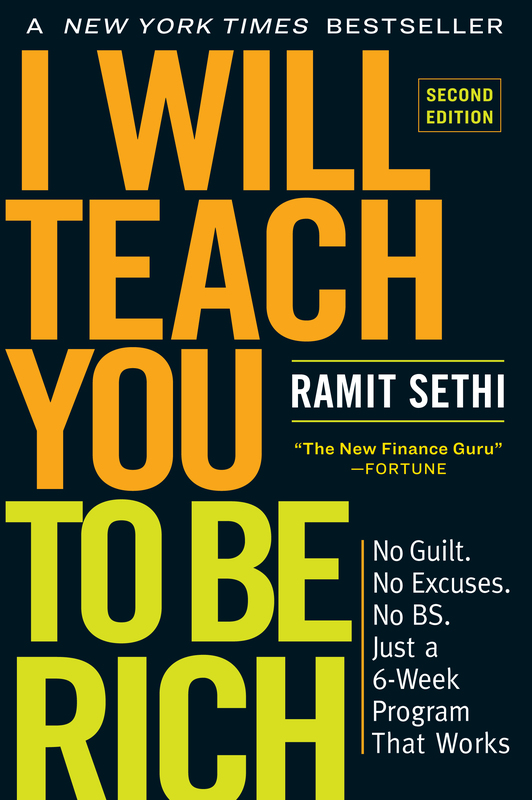 Mostly because I get to laugh at all the financial “experts” who opportunistically awake from hibernating all winter — when your pal Ramit is here ALL YEAR. It’s also when some of us get a chunk of cash back from the government through tax refunds. How much are YOU going to get back though? Well, the average tax refund is about $3,046 (per The Washington Post). So expect around three grand for your tax refund. But “average” doesn’t mean “guaranteed.” There’s nothing worse than planning for a refund and … getting nothing. Or worse, OWING money. That’s why I want to break that number down, show you how that refund is calculated, and tell you something that a LOT of people (e.g., the “experts”) get wrong about your tax refund. How do I get my tax refund? To understand how much you get back in taxes, you need a quick lesson in withholdings. Now you’ve probably noticed that a large portion of your income is “missing” from your paycheck each month. Part of the reason it’s missing (aside from 401ks, insurance, etc.) is because the government is “withholding” your pay based on how you filled out IRS form W4. This form determines how much you and your employer agree to withhold for taxes. Find your total income tax owed for the year (I suggest using this tax calculator for a rough estimate). See if that’s more or less than what you’ve had withheld (look on your end-of-year W2 form). Amount withheld – Your tax obligation = Refund This is a very simple breakdown of how tax refunds are calculated and doesn’t take into account things like tax deductions, exemptions, and benefits claimed throughout the year. But it can give you a rough idea of how much you might get back from the IRS come tax season. Let’s take a look at this using two more VERY simplistic examples. John is a single 30-year-old with no dependents. Last year, he made $75,000, withheld $15,000, and collected no government benefits. Check out how much he could get for his 2017 tax refunds (using the calculator above). Subtract the red circle from the blue for the refund.$3,105. Just about the average for tax refunds! AND with the new tax laws, he stands to get even more in his refunds in 2018 (about $5,195). How about someone who’s married with children? Margaret is a married 45-year-old with three kids under the age of 17. Last year, she made $100,000 and withheld $30,000 in taxes. She’s ALSO the head of her household and collected no government benefits. How much does she stand to get back? Subtract the red circle from the blue for the refund.Uncle Sam might owe Margaret $14,465 when all is said and done. And if her situation doesn’t change in 2018, her refund will actually grow to $20,584. NOTE: Everyone’s tax situation is unique and any online tax refund calculator will, at best, provide you with a rough estimate of how much you’ll get back. The two examples above are incredibly simple and don’t fully capture the nuances of someone’s actual financial situation. Play around with them and be as specific as you can. The more details you can provide the better of an idea you’ll have of what you’ll receive for your refund. Before you hoist your “Don’t tread on me” flag and march down to the IRS building to get your money, you should know about all the ways you can get your tax refund. Luckily for you, the IRS is very good about getting your tax refund to you. In fact, you can check out the IRS’s “Where’s my refund?” tool to find the status of your tax refund right now. And according to the IRS, they issue nine out of ten refunds back to the taxpayer within 21 days after they file their taxes. If you decide to file your taxes through good old fashioned pen and paper, it’s going to take considerably longer to get your refund back. In fact, you’re going to have to wait four to six weeks before you’re even able to check your status on their “Where’s my refund?” tool. There is another route though: Electronic tax filings. You receive your tax refund even faster when you file it electronically via platforms like TurboTax or IRS e-file. There you can elect to receive your refund through direct deposit (a free service provided by the IRS). It’s secure, fast, and the same way the government deposits millions of Social Security and Veteran Affairs benefits each year. So you know how much you’re getting back and how to get your money. Now let’s get into what you might be getting WRONG about your tax refund. I have a confession to make: I actually love the kooky weirdo financial “experts” you see on TV or on their online soapbox who lecture you about taxes. Because 99.99% of the time they are DEAD WRONG about money. TRANSLATION: If you get a refund, that means the government took your money and earned interest on it for an entire year!! Then these “experts” are typically out of breath because of their own brilliance. The average tax refund is about $3,000. Let’s assume that money would have been sitting in a savings account with a 1.45% APY (that’s on the higher end for savings accounts). How much interest did you lose through your tax withholdings? $3.62 a month. OMG!! The government is stealing the equivalent of a latte each month! Time to dump a bunch of tea in Boston Harbor. Here’s a hard truth: If you had that money, you probably would have spent it. That’s not a slight against you — that’s just human psychology. We as humans have an incredibly finite amount of willpower. That’s why cost-saving measures like cutting out lattes or lunch at your favorite sandwich spot aren’t realistic. And yes, technically, they’re right. You could have been earning interest on the money. I live in a world of reality, however, which means that “technically” isn’t always correct. If people end up owing the government money at tax time, most won’t have extra cash lying around. We know this because they are terrible at managing their money and have record debt rates. Sorry, it has to be said. As stated before, the interest they stand to earn is incredibly low. If you’re worried about saving a few dollars each month, then I highly suggest you go find another blog. Remember: When it comes to your personal finances, worry about the things you can control. Instead of thinking about the “what ifs” and how much the government is supposedly earning off of your money, make sure your personal finance house is in order so you can maximize the earnings of what you have. I agree with your stance on the tax refund 'giving a free loan' stance and the minimal effect it can have as far as 'earning potential on the interest.' I do think that people need to take a hard look at the refund amount whether it is 1K or 13K and figure out the 'right thing for them' to do with the money whether it is investing in themselves, a business idea, a long term investment/emergency savings rather than looking at it as 'windfall time to take a trip' money. Another great article, thanks for all that you do! AMAZING Article and so refreshing to read a different perspective! I love tax-time! Throughout the year, instead of being busy on cutting on lattes and lunches, I work on strategies to maximize my tax refund (income splitting, donations, write-offs etc…). It's so fun to be in control and get that big, ol', fat, juicy, bouncy, refund the following year. I am so grateful that such a tool is available. See, the state is not always out to get us, we just need to be more creative and get out of our comfort zones. Fortunes favors the bold ! More articles like these Ramit. We need to live a rich life. Thanks for writing this article. Everything you stated is correct. Currently, I work for a large financial institution and every year, starting in December, people call in to ask for loans and promise to pay it off as soon as their large tax refund comes in. Of course, few of them ever keep that promise. Then next year they are back with the same empty promise. If they would ever look at how much interest they are paying, then maybe they would stop complaining about the Government holding their money all year. It takes personal discipline to get out of this negative loop and hopefully your advice will help someone see there is a much better way.